the financial settlement of concluded transactions. 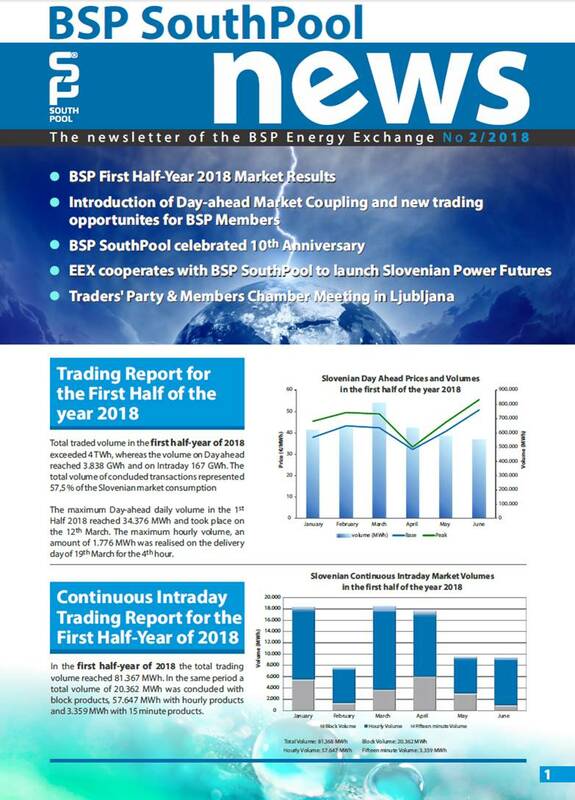 In the clearing process BSP appears as the counter-party in every transaction concluded, either as a buyer to the seller or as a seller to the buyer. Members transfer all their financial liabilities and claims to BSP as the new creditor or debtor. After assuming all financial liabilities and claims, BSP offsets all the financial claims from a particular member assumed under the rules of clearing. A member who is a net debtor is obliged to transfer the money for the remaining liabilities to BSP, those not liquidated under the offset, to the settlement account open at the settlement bank. Conversely, the portion of a net creditor’s claims from BSP not liquidated under the offset must be settled by BSP. BSP guarantees the fulfilment of financial liabilities for transactions concluded on the exchange, and members of the exchange must therefore provide the required financial guarantees for financial liabilities deriving from their involvement on the market. Members can provide financial guarantees in the form of a bank guarantee payable upon first call or a cash deposit. Should any member fail to make the payments arising from concluded transactions, BSP uses the financial guarantee funds of the defaulting member in question to fulfil its liabilities to other members arising from the transactions.